This course will prepare you for a life in games design and along the way, you’ll cover every aspect of this fascinating industry. We examine the principles and theory of game design, world building, structure and gameplay, while providing hands on technical skills that will take you through every stage of games design. You’ll gain a comprehensive understanding of games – from idea generation and game mechanics, to programming and the use of game engines, such as Unreal Engine. We also cover art and design, sound effects and the role of original, interactive music and there are modules that take you through 3D modelling using Autodesk Maya, and others that look at other design disciplines that are important in games, like architecture and character development. By the final year, you will be ready to embark on your self-directed honours project which will focus on your chosen career path. Running through the course is a strong theory thread which covers historical, contemporary and future issues in the game design industry. Our career focused approach mean that you will also be given the opportunity to respond to a detailed game brief to create a finished game as part of a team. All our teaching staff are still very active in the games industry. They have experience of developing award winning games with AAA games development companies. What this means for you is that we have great connections in the real world – connections that you can use to start building your own professional network, before you’ve even graduated. It also means that you can be confident that skills and techniques you learn are relevant to today’s industry. With outstanding guest lectures and workshops, and the opportunity to work on live project briefs, this degree will ensure that you gain the experience to give your games career a flying start. One aspect of this course that is particularly loved by past students are the small class sizes. This allows our tutors to provide lots of personalised one-to-one mentoring, giving you the opportunity to develop the skills that will be important in your preferred specialisms. Being part of the Futureworks family means you also get to work with film and audio students, and collaborate on a range of interesting and innovative projects. This course provides a fantastic springboard into the games industry for future Games Designers, Level Designers, Prop and Asset Modellers, or even into Production Management roles. 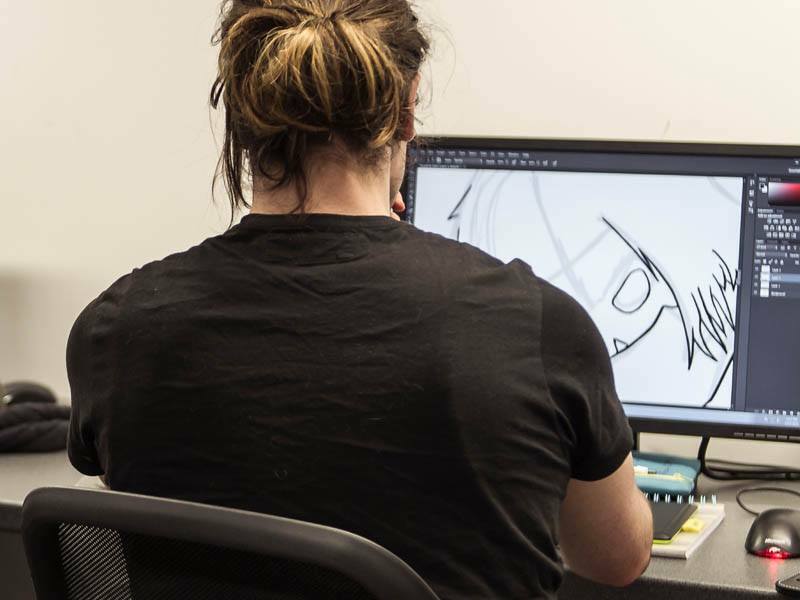 We’re proud to say that past students are currently working throughout the industry, from major game companies to small independents – or even start your own company like one group of Futureworks students did (Torque Studios) to enter a national competition. They won the competition, picking up a £25,000 prize which helped fund their first game which was nominated in the BAFTA games awards.